The last several days have been amazingly, unusually snowy for Portland. I've only seen it snow a handful of days here in the 15 years I've lived in the city, and hardly anything sticks around, but this is days of puffy beautiful flakes. People snow shoeing, cross country skiing and sledding - everyone is out experiencing the magic. I love lounging in front of our fireplace anytime, but this made me earn this luxury complete with a strong cup of Bailey's and coffee. All this white made me preoccupied with cabins and rural getaways. 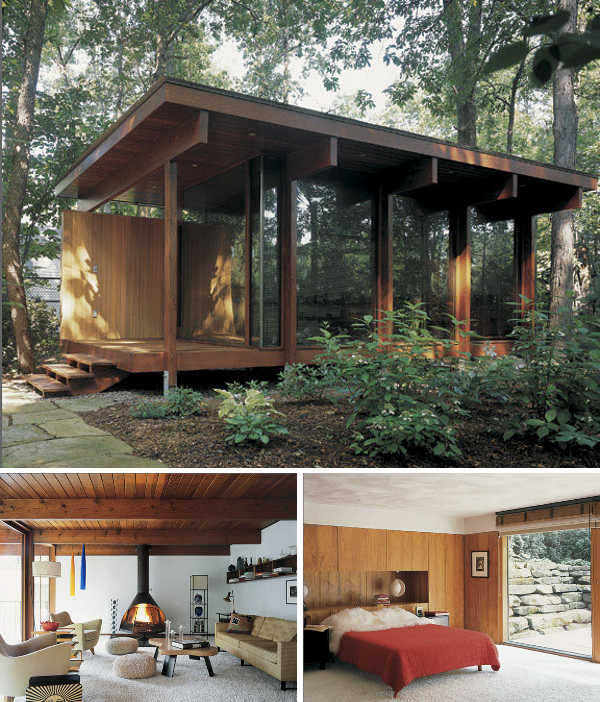 I'm a modernist at heart but there's something about a cabin in the woods that makes me yearn for the old school model. Not necessarily log cabins, although those can be very inviting too, but the warm quality of wood, an overstuffed sofa with mismatched pillows, a leather club chair with a knit throw, a ridiculously roaring fire and perhaps a view. My take on a cabin is a place that is purposefully small and intimate, even if it's a family compound there's a sense of a bunkhouse quality where the common spaces are the bulk of the house and the sleeping quarters are minimal. This is obviously not everyone's take, since my research succeeded in finding many contemporary examples that didn't comply with this scaled down approach. 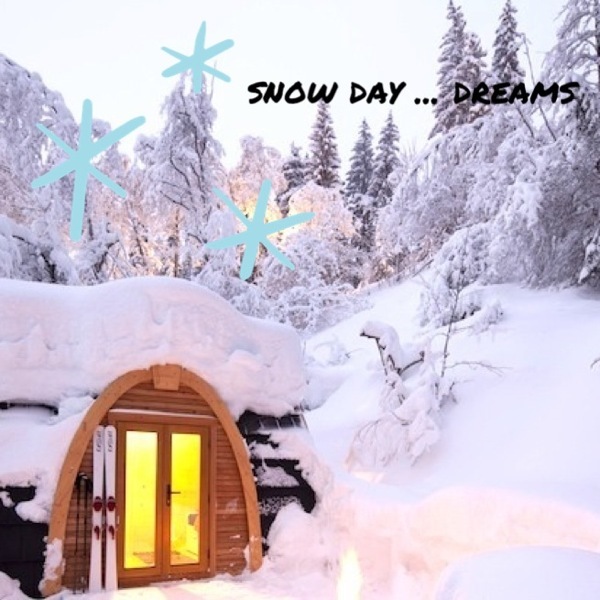 Here are my top 5 sites for finding your dream cabin getaway to day dream about, wether it be a cozy cottage or a grand lodge! 1. 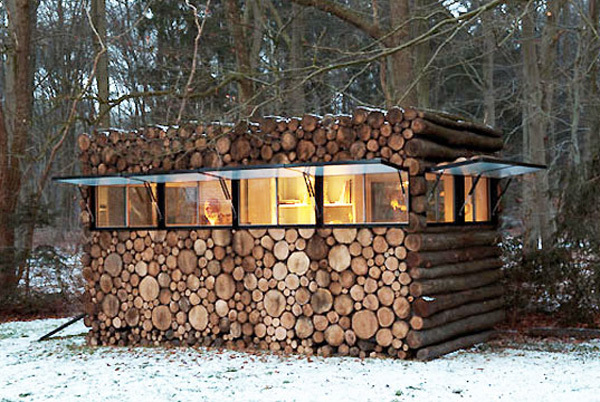 We begin small with the very first weeHouse built in Minnesota by Alchemy Architects. A modern prefab take on a rural escape: exterior metal cladding which serves in protecting the cabin from the harsh midwest weather, an interior furnished with a wood plank floor and ceiling, a blackened steel wood stove and an expansive prairie view through floor to ceiling glass doors leading to an exterior balcony. 2. 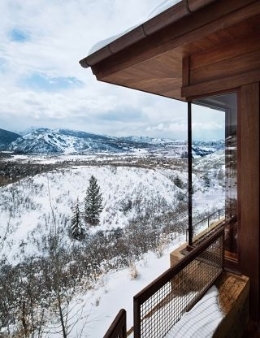 For some over the top escapes, definitely not in the wee category, lose yourself in Architectural Digest's curated gallery of some snowy retreats. 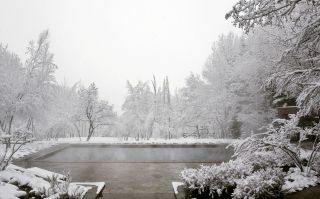 I think a little time spent in that heated pool surrounded by crystalized evergreens could persuade me into loving this glam "outdoor" lifestyle. 3. You can't really go wrong with searching for some inspiration via some modern scandinavian cabins. A strong focus on vernacular architecture and styles heavy in textures, woods and pops of color are all trademarks of this nordic look. 4. These cabins do a good job of hiding themselves in the landscape and letting the surrounding terrain be the focal point. The idea of slats and screens to both hide and accentuate certain views is a tool that can be used to its full potential when a house sits alone in it's surroundings. 5. 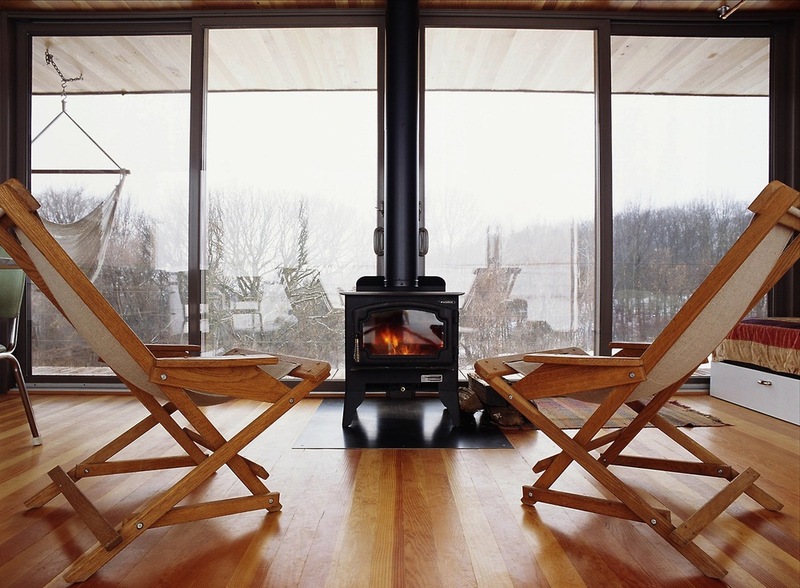 This cottage in Fitch Bay, which is a small town in Quebec's Eastern Townships, completely won me over with it's herringbone brick floor complete with radiant heat, floating upper sleeping loft and liberal use of glossy white paint which allows natural light to bounce within the cabin's vaulted form. This house does such a fabulous job of melding traditional with modern, which allows it timeless appeal. I could spend hours curled up in front of this fire with a good book, daydreaming about a tropical escape! 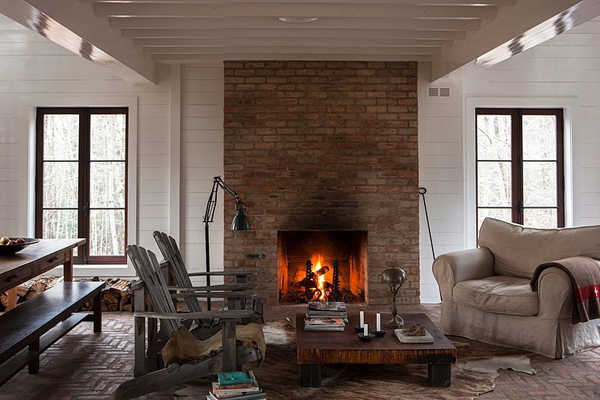 What are your favorite rustic retreats?